Bartons is more than 100 years old and used to be one of the biggest bus companies in the country. Although the family business no longer shuttles passengers – the bus business merged with Trent buses to become Trent Barton in 1989 – it is still a well-known name hosting a range of entertainment events from its old depot in Chilwell. The company, which was founded in 1908, is now hoping to expand its business back into the city centre, in its former depot in Huntingdon Street. The fourth generation family business is now run by Simon Barton. He said: "We have not been in that building since the 1970s and are hoping to return without the buses. 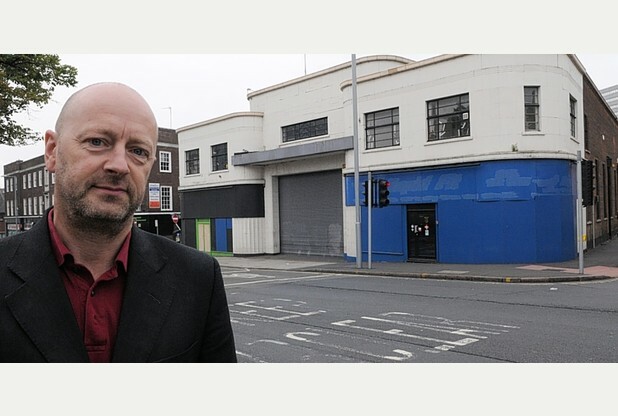 "We want to echo what we are doing in Chilwell, but in the city. "We built the Huntingdon Street depot so it will be lovely for us to return to it and find a new use for it. "The ideal situation would be that we use it for creative events from theatre and markets to live music but the things we can do with the building are endless." The Huntingdon Street depot was a key city bus station when it opened in 1939. The building has only been empty for around 18 months and was previously occupied by a car garage. It has already been used for a live music event when Secret Party Project held a club night in the building last Easter. Organiser Paul "Brina" Brindley said: "We hold events in experimental locations and this was a great venue. "We had a sell-out event with 499 people attending. "It is a beautifully designed building and if everything goes to plan we would like to hold further events there."